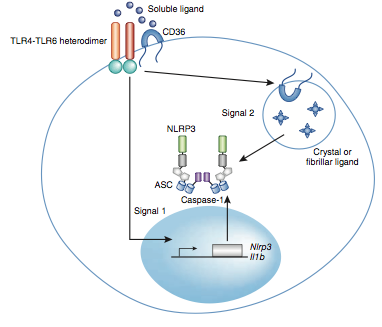 An endogenous caspase-11 ligand elicits interleukin-1 release from living dendritic cells. Zanoni I, Tan Y, Di Gioia M, Broggi A, Ruan J, Shi J, Donado C, Shao F, Wu H, Springstead J, Kagan J. Science, 2016 June 3; 352 (6290):1232-6. Hepititas C virus NS3-4A inhibits the peroxisomal MAVS-dependent antiviral signalling response. Ferreira AR, Magalhaes AC, Camoes F, Gouveia A, Vieira M, Kagan JC, Ribeiro D.
J. Cell. Mol. Med., 2016; 4: 750-757. 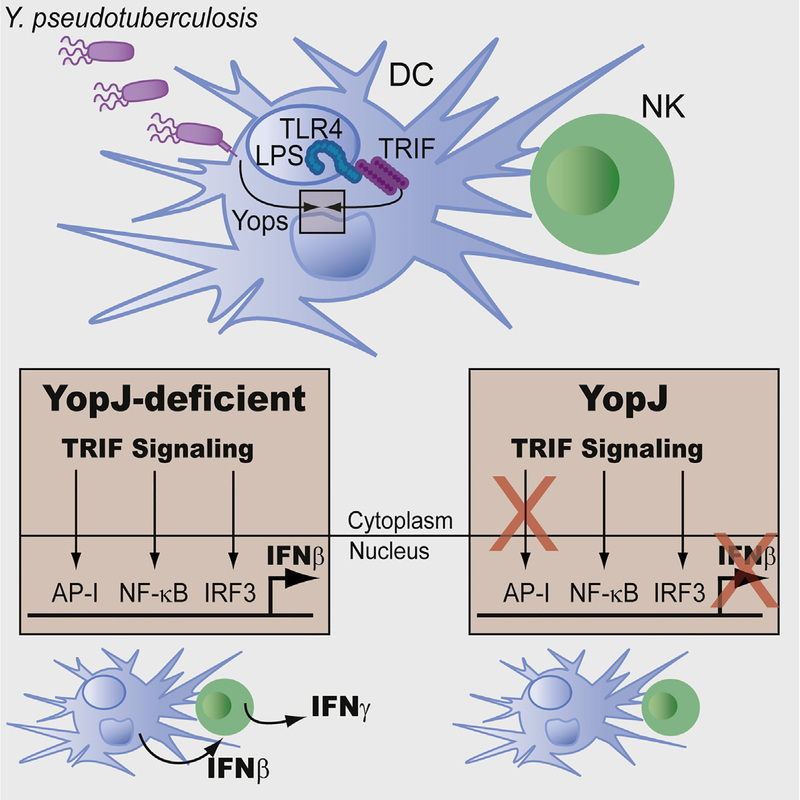 A single bacteria immune evasion strategy dismantles both MyD88 and TRIF signaling pathways downstrean of TLR4. Rosadini CV, Zanoni I, Odendall C, Green ER, Paczosa MK, Phillip NH, Brodsky IE, Mecsas J, Kagan JC. Cell Host Microbe, 2015 Dec 9; 18 (6):682-93. 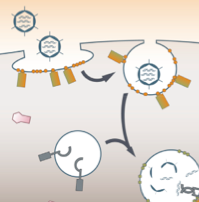 PRRs are watching you: Localization of innate immune sensing and signaling regulators. Chow J, Franz KM, Kagan JC. Virology. 2015 Mar 20; advance online publication. 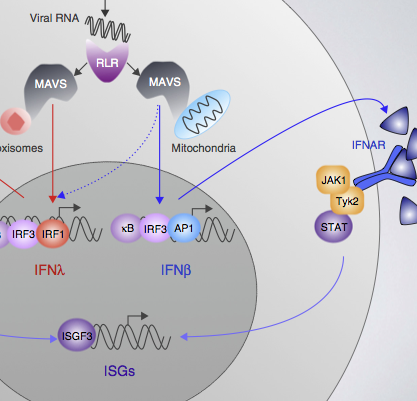 The unique regulation and functions of type III interferons in antiviral immunity. Curr Opin Virol. 2015 Mar 12; 12:47-52. 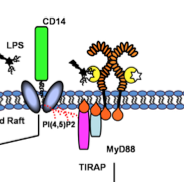 Microbial strategies for antagonizing toll-like receptor signal transduction. Curr Opin Immunol. 2015 Jan 20; advance online publication. Innate immune pattern recognition: a cell biological perspective. Brubaker SW, Bonham KS, Zanoni I, Kagan JC. Annu Rev Immunol. 2015 Jan 2; advance online publication. 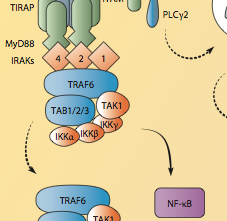 Emerging principles governing signal transduction by pattern-recognition receptors. Cold Spring Harb Perspect Biol. 2014 Nov 13; advance online publication. SMOCs: supramolecular organizing centres that control innate immunity. 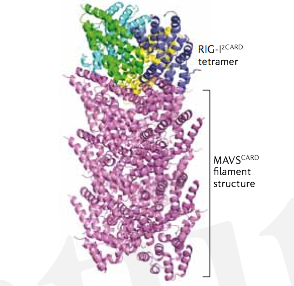 Kagan JC, Magupalli VG, Wu H.
Nat Rev Immunol. 2014 Oct 31; Epub. 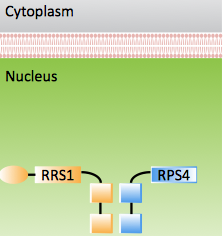 Common mechanisms activate plant guard receptors and TLR4. Trends Immunol. 2014 Sep 12; S1471-4906(14):00153-7. 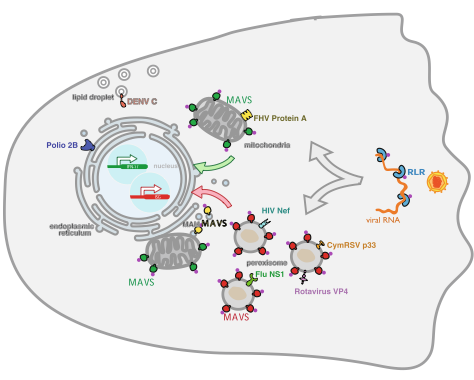 Late endosomal trafficking of alternative serotype adenovirus vaccine vectors augments antiviral innate immunity. Teigler JE, Kagan JC, Barouch DH. J Virol. 2014 Sep 15; 88(18):10354-63. Odendall C, Dixit E, Stavru F, Bierne H, Franz K, Durbin AF, Boulant S, Gehrke L, Cossart P, Kagan JC. Nat Immunol. 2014 Jun 22; 15(8):717-26. 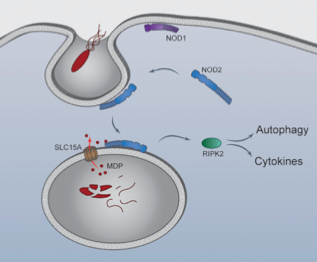 Endosomes as platforms for NOD-like receptor signaling. Cell Host & Microbe. 2014 May 14;15(5):523-5. 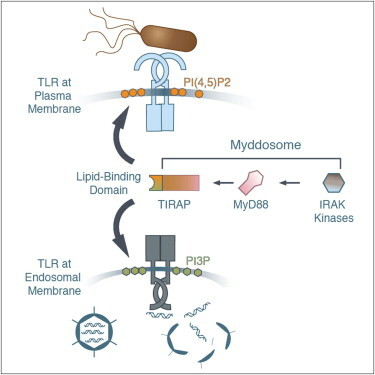 A cross-disciplinary perspective on the innate immune responses to bacterial lipopolysaccharide. Mol Cell. 2014 Apr 24;54(2):212-223. 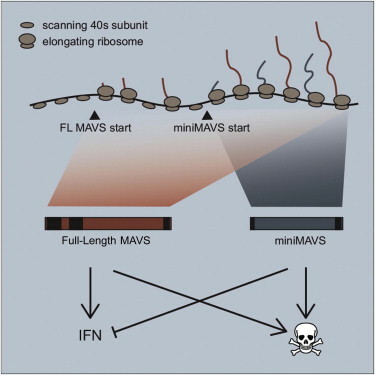 A bicistronic MAVS transcript highlights a class of truncated variants in antiviral immunity. Brubaker SW, Gauthier AE, Mills EW, Ingolia NT, Kagan JC. Bonham KS, Orzalli MH, Hayashi K, Wolf AI, Glanemann C, Weninger W, Iwasaki A, Knipe DM, Kagan JC. 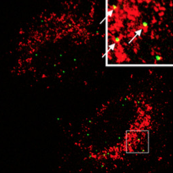 NLRP3 inflammasome activation: CD36 serves double duty. Peroxisomes and the antiviral responses of Mammalian cells. 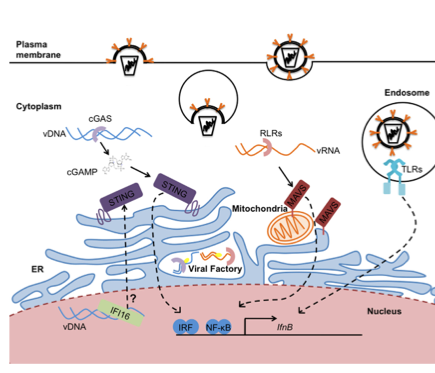 Intracellular pathogen detection by RIG-I-like receptors. Signaling organelles of the innate immune system. 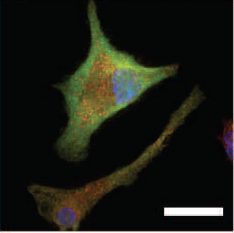 Defining the subcellular sites of innate immune signal transduction. Phagosome as the organelle linking innate and adaptive immunity. 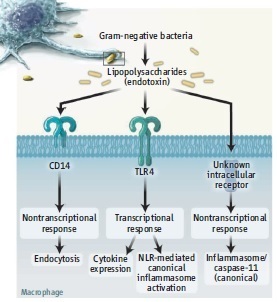 CD14 controls the LPS-induced endocytosis of Toll-like receptor 4. Zanoni I, Ostuni R, Marek LR, Barresi S, Barbalat R, Barton GM, Granucci F, Kagan JC. Deciphering the function of nucleic acid sensing TLRs one regulatory step at a time. Front Biosci. 2011 Jun 1;16:2060-8. Review. 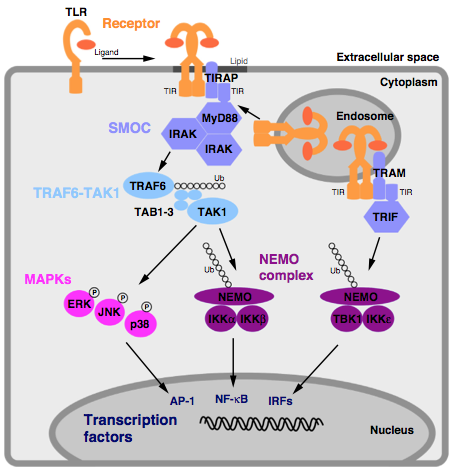 Recycling endosomes and TLR signaling--the Rab11 GTPase leads the way. A cell biological view of Toll-like receptor function: regulation through compartmentalization. Nat Rev Immunol. 2009 Aug;9(8):535-42. Epub 2009 Jun 26. Review. 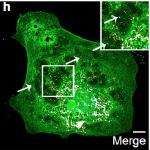 TRAM couples endocytosis of Toll-like receptor 4 to the induction of interferon-beta. Kagan JC, Su T, Horng T, Chow A, Akira S, Medzhitov R.
Nat Immunol. 2008 Apr;9(4):361-8. Epub 2008 Feb 24.